This booklet on adaptive learning and other emergent educational trends is Inside Higher Ed's newest print-on-demand collection of articles. You can download a free copy here. On Tuesday, October 17, Inside Higher Ed's editors presented a free webcast to discuss the themes of the booklet. You may view a recording of the webcast here. 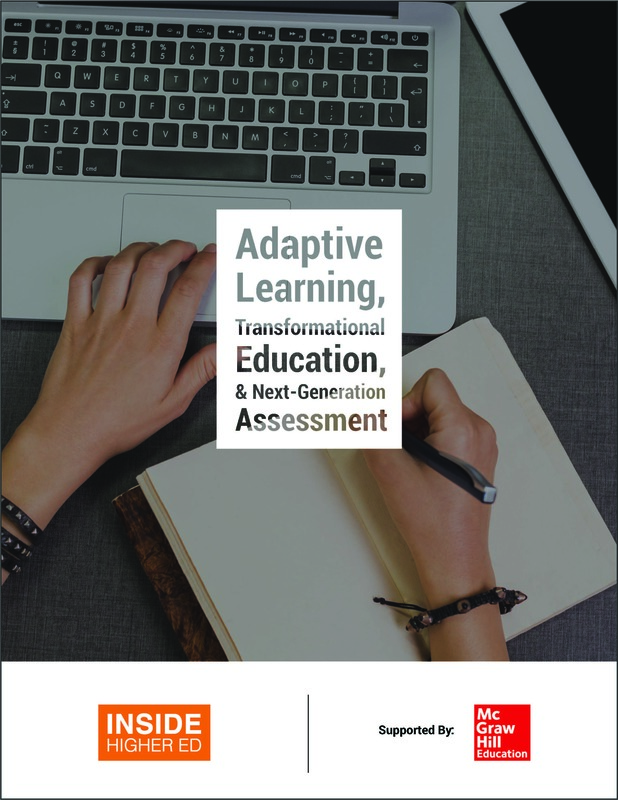 "Adaptive Learning, Transformational Education, & Next-Generation Assessment" was made possible in part by the advertising support of McGraw-Hill Education.